You might think we are going to sing an Alan Jackson song to you. Well…. we are! “Lace-up boots and faded jeans, A homemade sandwich, and a half a jug of tea, Average Joe, average pay. Looking at the lyrics of the song you might be thinking like us, that is no Average Joe’s job and average pay is not something that happens in construction in our community. Construction is a premier industry and is only growing. 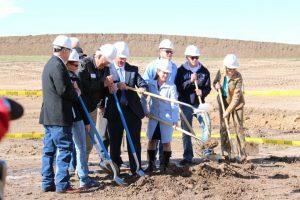 We have several housing developments which are about to join our Laramie County footprint. With these new developments comes more need for skilled employees for our contractors. Growing communities are in surrounding areas and many of our businesses are serving their needs too. The amount of construction happening in Cheyenne is extensive and you add the growth all along the Front Range on top of it, you have some very busy businesses. If you are a person who has any contracting experience, you are in high demand when it comes to our labor market. Our workforce is always in need of skilled contractors ranging from roofing to landscaping to flooring, you name it! Truly, our community would be a great home for you and the jobs are waiting with your name on it. We can be a resource for you in Cheyenne. Connect with us today at CheyenneHomeStore.com or give us a call at 307-635-0303!